Students were asked to research vessels throughout history. The students then created vessels from their research. 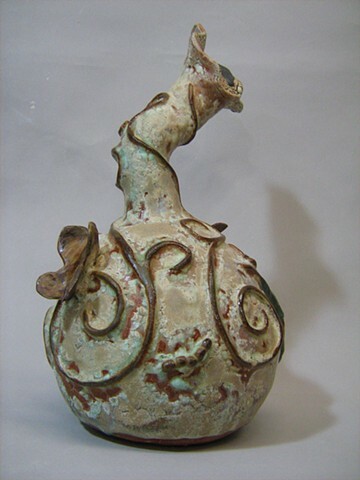 Each vessel created was not meant a historical replica, but to create an interpretive piece based on the original vessel. Each student was asked to decorate their vessels to their liking. Earthenware fired to Cone 04 oxidation.